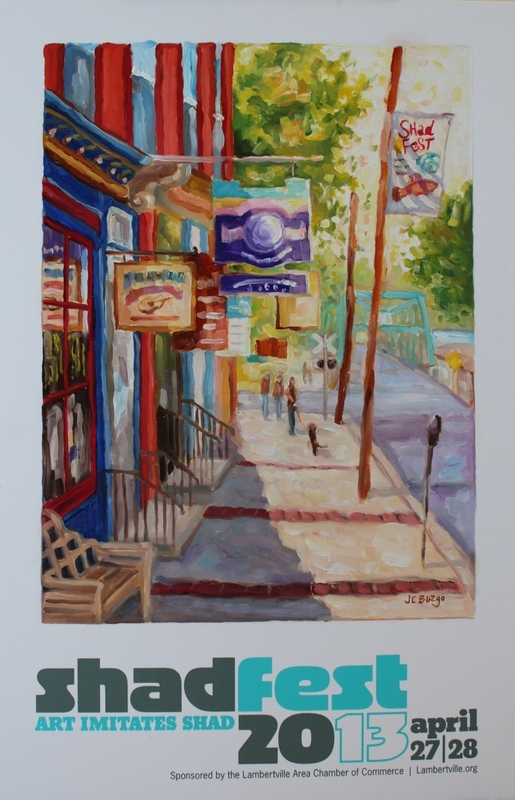 Shad Fest Poster 2013 "Bridge Street, Lambertville"
Live Auction during Shad Fest at the First Presbyterian Church Rec. Room in Lambertville, NJ. 100% of the proceeds go to scholarships for high school students who are aspiring to have art careers. And if you win my poster, please reach out and tell me!